About a month ago I tried a Pumpkin Swirl Cheesecake in the crock pot and I did not care for the flavor of it. So I used the same cooking technique but used my own recipe. I am excited to start experimenting with other flavors. Cheesecake is one of our favorite desserts. I am wanting to try a Peanut Butter Cup Cheesecake next. The cheesecake is super easy to do. To prepare the pan and crock pot you will need foil. I covered my spring form pan up the sides with foil, this way when I add water to the crock pot I do not get soggy cheesecake if the spring form pan should seep water into the bottom while cooking. 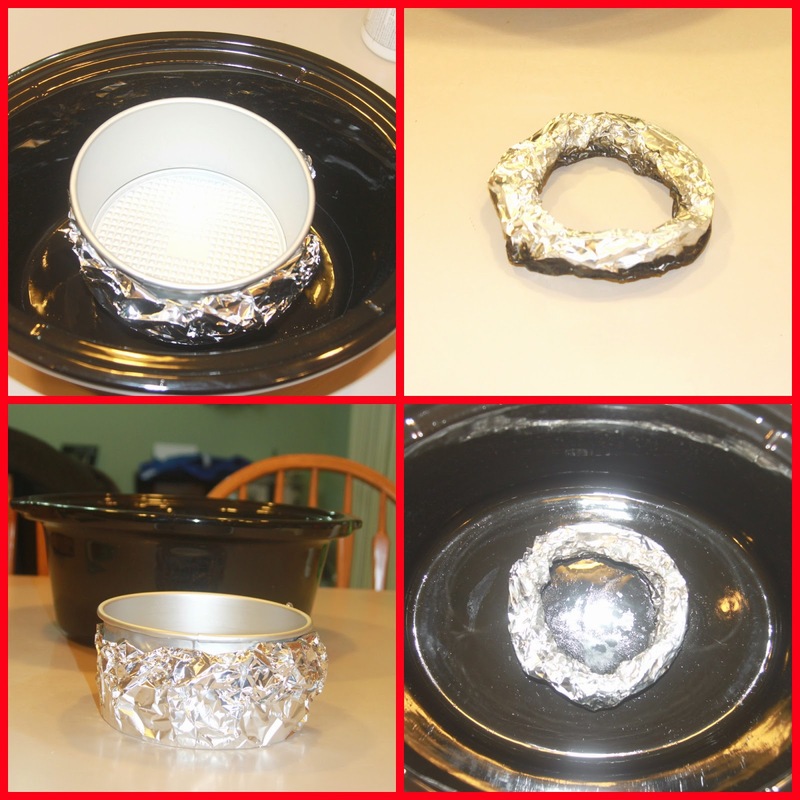 I also use foil to make a ring to sit my spring form pan on inside the crock pot to keep it off the bottom. You will also want to have 3 to 4 paper towels that you will put between the top of the crock pot and the crock pot lid, this will keep the moisture that will build up on the underside of your lid from dripping down onto your cheesecake while it is cooking. All that is left to do is mix up the cheesecake, put it in the spring form pan, place spring form pan in the crock pot and place paper towels between crock pot and lid. Bake for 2 hours on high, no peeking, then turn crock pot off, leaving lid on, and let sit for 1 hour. After that place cheesecake in refrigerator to get cold. I was in a hurry so I put mine in the freezer for a bit. Once it was cold I removed the ring around my cake, I did run a knife around the edges before removing the ring as mine was stuck to the pan. Once I did that it came out perfect! Turn the crock pot on high and let it go without peeking for 2 hours. Then turn the crock pot off and let sit for an hour. The cheesecake is now done and ready to chill. 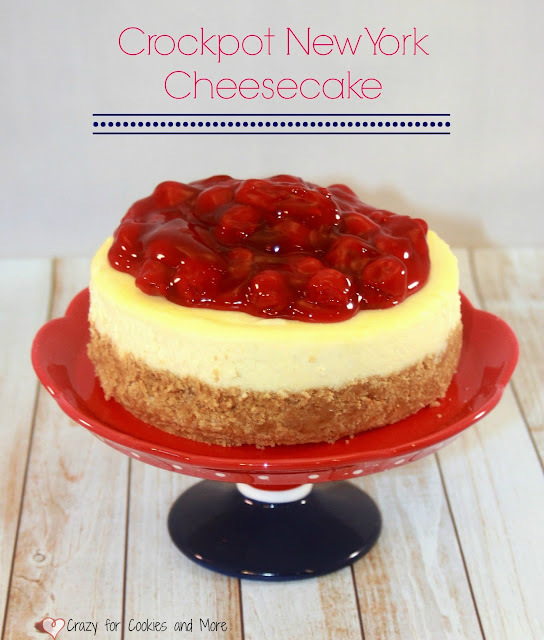 Place the cheesecake still in the spring form pan into the refrigerator to get cold. After it has chilled to your liking, run a knife around the edges to loosen the cheesecake before removing the ring around your spring form pan. 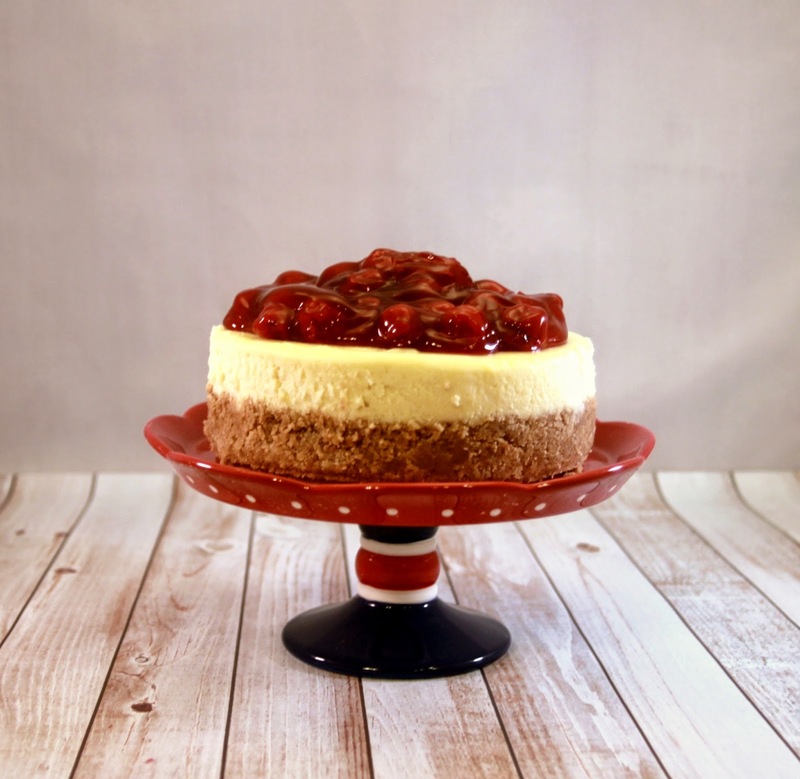 Cover cheese cake with pie filling and enjoy! !